Today's share of inspiration comes from the Splitcoast Mix-ability Challenge last week, Not Monotonous. It was to use 3 different mediums and the card is to be all one color. Of course mine is green! The flower may look white and really it is, but the glitter I used is Green Iris:) I started by spraying the white cardstock with Memories Mist, then I took 3 greens of acrylic paints and a paint dauber and daubed color on. 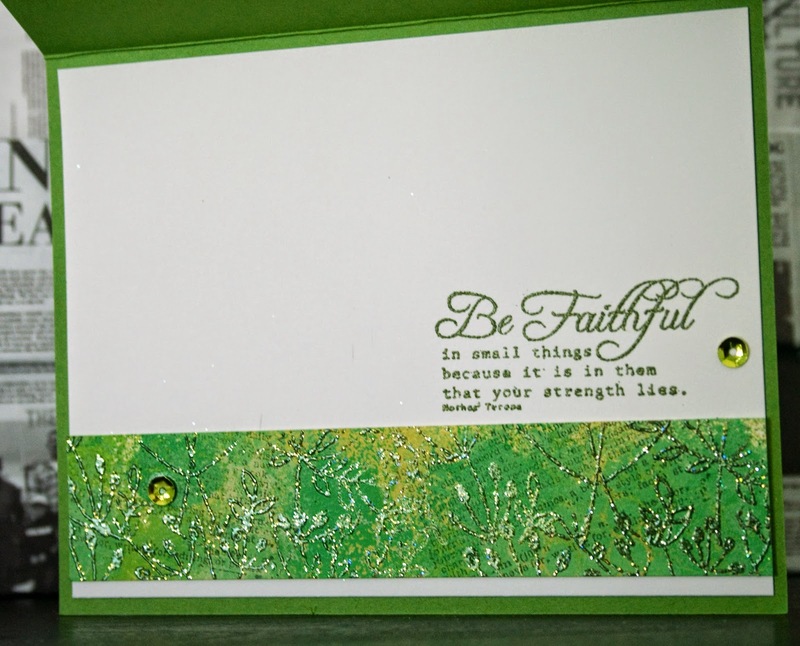 After that was dry I stamped the background with the stamp Spring Background and embossed with Bullfrog EP. 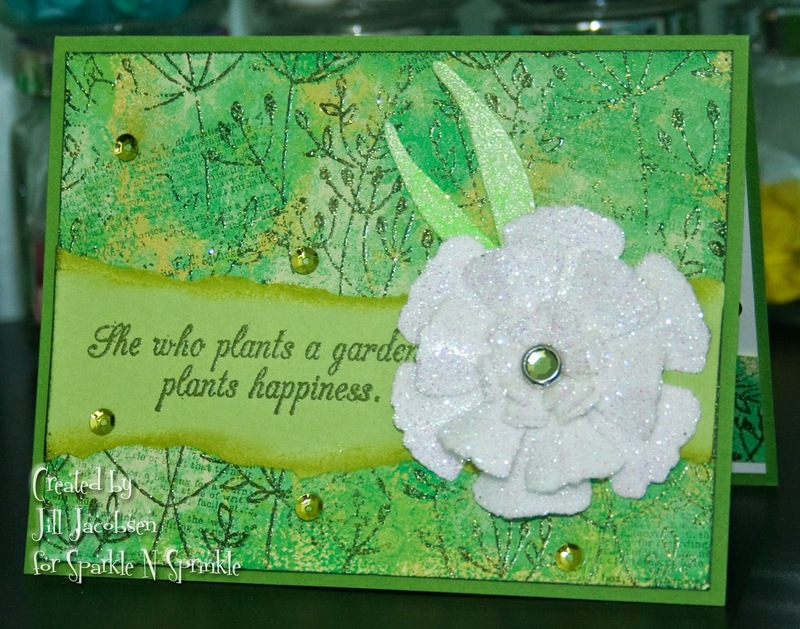 The sentiment comes from the Geranium stamp set and embossed with Moss EP. 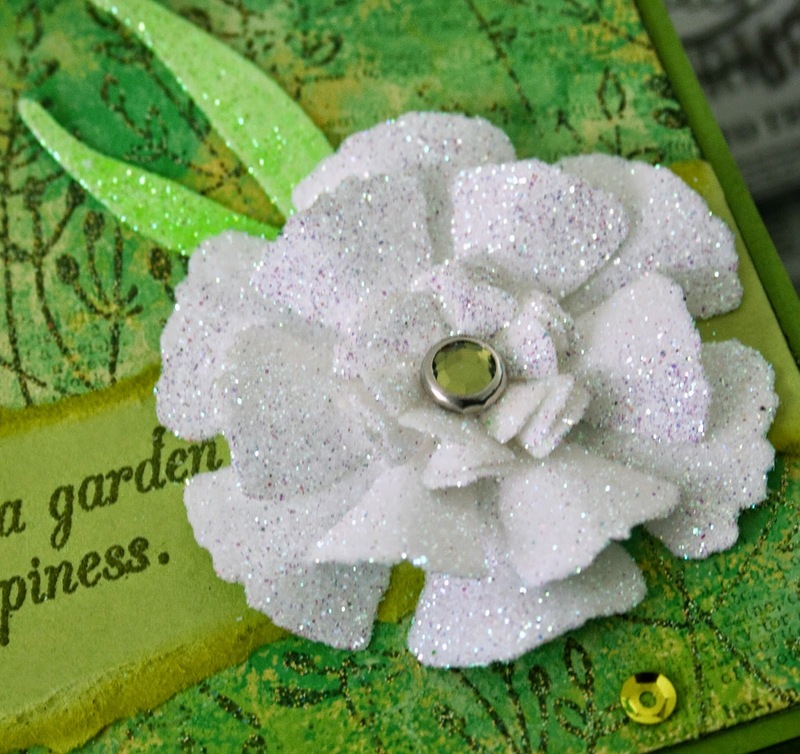 The flower was cut out with the Spellbinders Carnation set with 2 1/2" Tear-ific Tape layed down on a piece of cardstock and glittered with Green Iris Glitter and Spirited Green. The finishing touch is the added sparkle with the sequins! 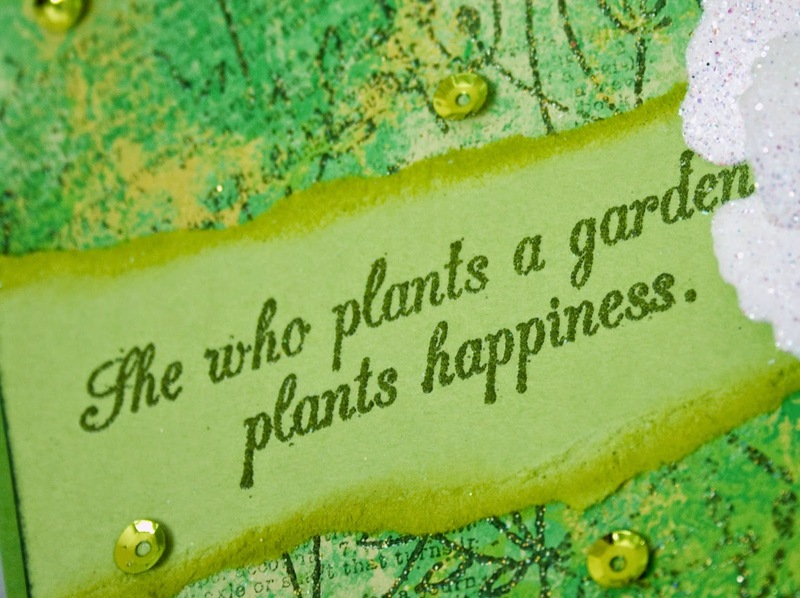 The inside sentiment is from the Bird House stamp set and embossed with the Moss EP. Hope you enjoyed your weekend....I did some scrapping of my daughters wedding this weekend...I will share that with you later.